Observation - Small moth - UK and Ireland. 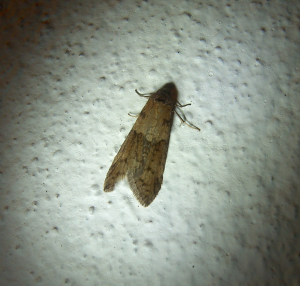 Description: Several of these small moths attracted to lights near deciduous woodland. Length 12mm. Several of these small moths attracted to lights near deciduous woodland. Length 12mm.